Having already sold out London’s Omera, Highasakite announce their biggest shows across Europe, including a stop off at Whelans, 2nd March 2019. Tickets will go on sale Friday at 9AM. This is the first glimpse of a new show since the 2017’s ‘Camp Echo’ tour which comprised main stage headlines at Norway’s five biggest festivals; Glastonbury, Latitude (UK), Hurricane (DE), Roskilde (DK) and Field Day (AUS); and sold out venues spanning the UK, US and Australia. 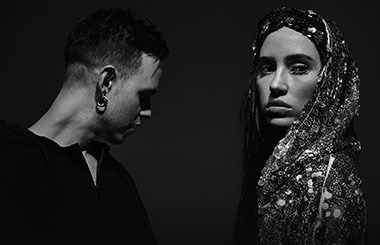 On the eve of new music being released, 2018 has already seen a significant return for Highasakite. Previous singles from the campaign have already seen an enormous success, ‘Elastic State Of Mind’ has sat for 3 weeks at the top of the Norwegian radio charts and ‘Out Of Order’ achieved Norwegian Top 40 Official Singles Chart (NO), Top 30 Spotify Chart (NO).